Hiring recent college graduates has always been a gamble on some level. The lack of solid work experience, if nothing else, requires a leap of faith (non-traditional student grads notwithstanding). However, the employment landscape is changing so quickly for both employers and college students, that it’s important to revisit the subject now and again. Recent graduates are facing more difficulties than ever finding jobs, all with the weight of record high student loan debt. At the same time, employers are utilizing internship programs to an unprecedented degree, and both sides are trying to find a salary that will keep the lights on. 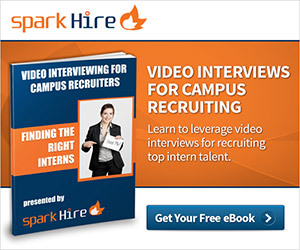 From Spark Beat, here’s the inside scoop on hiring new grads in the current marketplace. First, let’s talk about the profile of your typical recent graduate. This is important for businesses in terms of hiring strategy, salary negotiation, and employee retention. According to a recent CNNMoney article, the average 2013 college graduate has around $35,200 in total college-related debt. At the same time, 92% of recent graduates say they plan to pay back their debt with income from their jobs, and starting salaries are higher than in recent years, with the average at around $45,000 per year. When it comes to hiring recent graduates, many employers have the same reservations that go with hiring any new staff right now. While the national unemployment rate for college graduates overall is relatively low at 3.9%, the unemployment rate for recent graduates is at 8.8%. Employee retention is also often a concern with hiring recent graduates. So, how do you keep new grads once you hire them? Turns out that recent graduates may be more concerned with stability and job security than a high starting salary. Playing up these aspects of your company, as well as providing perks like paid vacation and continuing education could help your employee retention when it comes to new grads. Another way to help employee retention of new grads is to “try before you buy” with an internship program. Major companies like Google and Infosys are increasingly using rigorous internship programs to create a talent pool from which they can hire top talent after graduation. The internship period is a great trial period for employers and employees, and can help improve employee retention rates by decreasing the likelihood of a bad hire. Don’t have an internship program? Looking for internship experience at another company can be a good way to find recent graduates with some positive industry experience. Will you be hiring any recent grads this summer? What are your biggest concerns? The economy? Employee debt? Employee retention? Spark a conversation below.